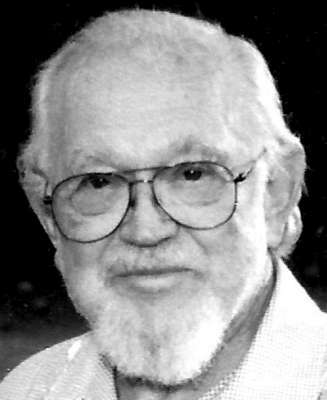 Dr. Charles S. McCammon, 94, a career medical officer in the U.S. Public Health Service, died on May 1, 2014. He was born on November 6, 1919 in Maryville, TN, and graduated from Maryville College. He received his medical degree from Vanderbilt University in 1945 and a master’s in Public Health Administration from the University of California, Berkeley in 1952 and became board certified in preventive medicine and public health in 1954. Charles spent the majority of his career as a physician and administrator in the Indian Health Service supporting the health of numerous Indian Nations. His last duty assignment was as Area Director, Arizona Area, Indian Health Service 1966-1977. When he retired, he held the rank of USPHS Captain. He is survived by his wife of 68 years, Mary Thornburgh McCammon and five children: Laura of Tucson, Charles, Jr. of Littleton CO (Jane), Phil of Scottsdale (Diane), Mark of San Antonio, TX (Karen), and Sara McCammon Perdue of Midway, KY (Kevin). He was blessed with eight grandchildren: Nielle, Sam, Kate, Hannah, Mac, Maure, Robert and Marie and one great-grandchild—Jack. Family was extremely important to him. He was preceded in death by his parents, Sam and Effa McCammon of Maryville, TN and his daughter-in-law Patricia, mother of Maure. Charles was an avid horseman and loved to hunt and camp. He was a student of Indian and Western history. Since retirement, he has written articles on Western history and edited a book about two East Tennessee Regiments during the Civil War. Visitation will be held at 1:00pm with a Funeral Service at 2:00pm, Saturday, May 3, 2014 at Whitney & Murphy Funeral Home, 4800 E. Indian School Rd, Phoenix. Interment will be in Maryville, TN. In lieu of flowers, memorial gifts can be made to St Mary’s Food Bank, Arizona Humane Society or a favorite charity. Offer Condolence for the family of McCAMMON, CHARLES S., M.D. We are so very sorry and want to offer our sincere condolences at this sad time for everyone in the family. Laura know that we care and are here for you anytime. Dear Laura, your father led a fulfilling life. Take comfort he is at peace now. Much love. Dr. McCammon was a beloved family man and that came across to all of us that had the privilege of knowing him. He will be missed. Our love and best to Laura and the entire family. At this sad time, we send you and your family our heartfelt condolences on the passing of this deeply loved and remarkable man. Laura, I see the family resemblance. What a remarkable individual your father was. Deepest condolences to you and your family. To all the McCammon family: “Uncle Charles” was an amazing man whose loss will be felt by many. I admired him and Uncle John Thornburg above all in my extended family. My heart and prayers are with each of you. Laura, I did not know your father but heard you speak of him lovingly many times. Ron and I send our sympathies and blessings to you and your whole family as you mourn your loss. Again, regrets that I could not attend the funeral–we are both still recovering from a nasty norovirus (says the doc). He was so kind to the new little girl in the neighborhood. Sweet man. Good dad. Condolences to all the family for this great loss. You and Jane spoke so fondly of him. I know you will miss him, but he lived a remarkably long and productive life. Hang in there.